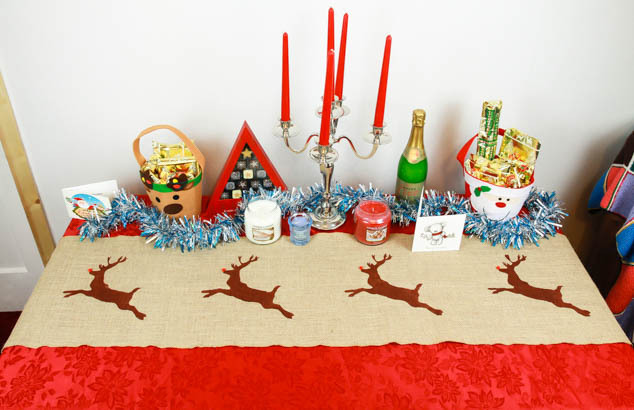 Getting ready for Christmas I really fancied getting crafty with a DIY Christmas table runner. Over the weekend I made this pretty little table runner for my Mum and have put together a short video to show my process and the different techniques I used to create it. It is a really easy project that anyone can do but is really effective. I really hope you enjoy this video, thank you for watching! Check out my other latest instalments on my channel and please like and subscribe if you are new. I had this idea after seeing a hessian table runner with printed rabbits on on Pinterest. They had big pompoms for tails and the burlap fabric made then look so rustic and shabby chic. 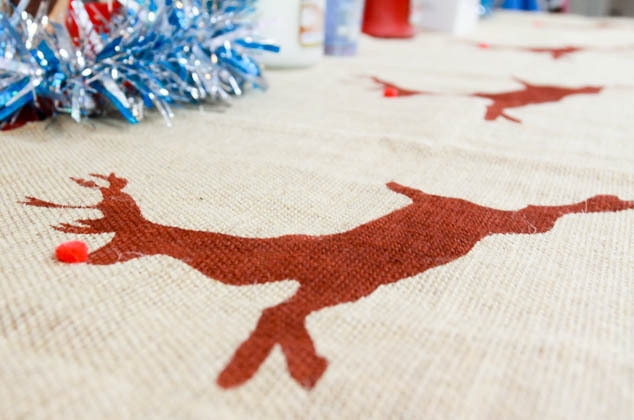 I thought at Christmas this fabric would look pretty good on the table and that the reindeers would be a great alternative, switching the tails for Rudolf’s red nose. The table runner has a handmade feel but with special little touches like the Nordic Fabric Reel Snowflake trim at the ends. I chose to use the Vintage Affair Table Runner from the wedding section in Hobbycraft. It was 2 metres in length and already had stitching around the boarder which saved time. You can obviously make a more custom designed / cheaper option buying the hessian from a fabric shop to the length needed. 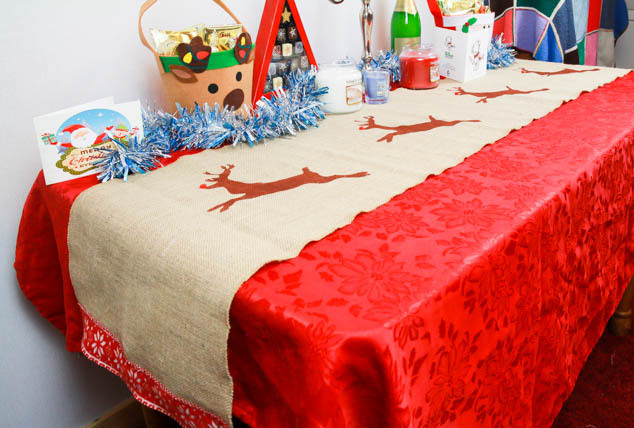 You will also need scissors, tape, a needle and thread, plastic sheeting/bin bags to protect the table, card and a printer or a reindeer stencil. Have you done any DIY Christmas Crafts this year? This is an entry for a competition hosted by AbleSkills.